During each of the previous political revolts (1789, 1830, 1848, and again in 1871), sections of Paris had succumbed to the revolutionaries. These successes were due in part to the political sympathies of the citizens of Paris, but the crooked narrow lanes of the medieval city also played a role. During times of conflict, urban mobs would blockade the maze that was the streets of Paris. Such barricades (makeshift barriers erected across streets to prevent the movement of opposing forces) proved very effective and made Paris all but uncontrollable at times. 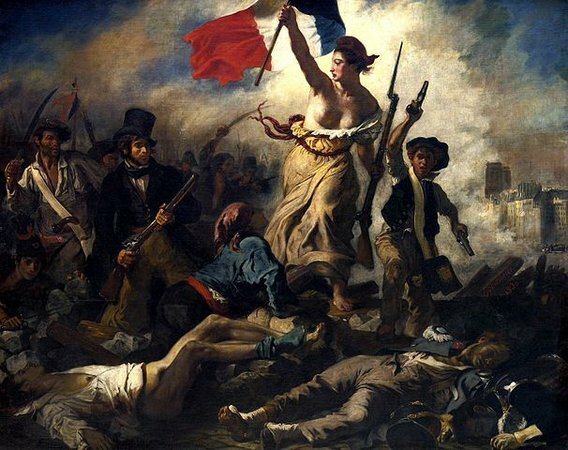 Think back to Eugène Delacroix’s painting of the revolution of 1830, Liberty Leading the People—Marianne (Liberty) is shown rising over a barricade of just this sort. During the period known as the Second Empire (1852-70), Napoleon III, the great-nephew of Napoleon Bonaparte (emperor of France in the early nineteenth century), ruled France. He asked an administrator, Baron Georges-Eugene Haussmann, to modernize Paris—to bring clean water and modern sewers to the fast growing city, to light the streets with gas lanterns, to construct a central market (Les Halles), and to build parks, schools, hospitals, asylums, prisons, and administrative buildings. But the most ambitious aspect of Haussmann’s plan was to literally reshape the city. 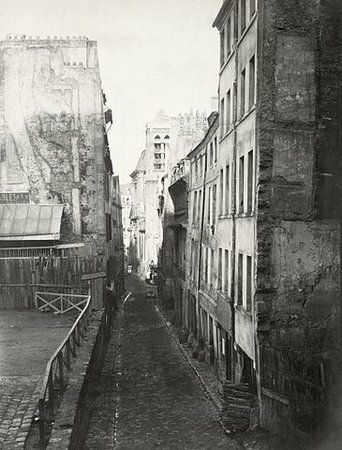 For his role in changing the Paris cityscape, Haussmann would acquire the nickname “the demolisher.” He plowed over the ancient, winding streets of the city (the same narrow streets that had proved so useful to revolutionaries). In their place, he created broad straight boulevards that were impervious to the barricade—and, equally important, they could better accommodate the free movement of troops. The avenues also allowed for the easy flow of commerce and so were a boon for business. Napoleon III had dreamed of a new imperial city whose very streets spoke of the glory of the French empire. Haussmann delivered. As with nearly every urban renovation, a percentage of the population was displaced. Haussmann forced citizens from their homes as these buildings were torn down to make way for the clean lines of the new city. The wealthy were quickly accommodated. The new boulevards were lined with fashionable apartment houses. It was, as usual, the poor that really suffered. 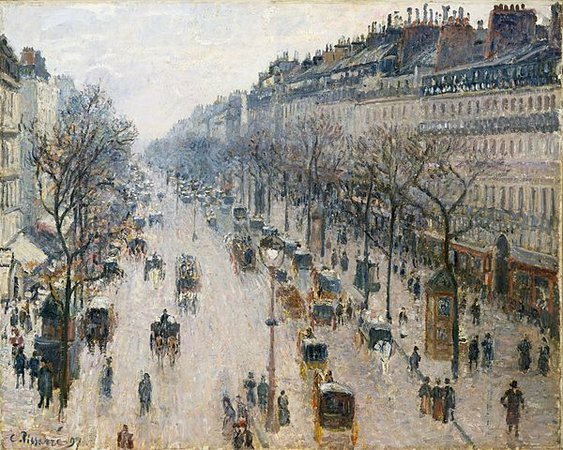 Cite this page as: Dr. Beth Harris and Dr. Steven Zucker, "Haussmann the Demolisher and the creation of modern Paris," in Smarthistory, August 9, 2015, accessed April 22, 2019, https://smarthistory.org/haussmann-the-demolisher-and-the-creation-of-modern-paris/.